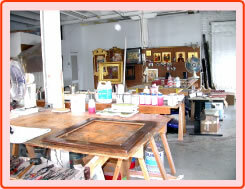 My studio is located in an old factory building in centre city Philadelphia. Easy access from all major highways, bridges, train, bus stations, and airport. Please feel free to contact me at my studio throughout the working day at (215) 765-1555. If I am working with a client or on a project you will get my answering machine. Do leave a message. I will ring you back promptly. I also maintain extensive galleries on facebook and tumblr. Purchases may be made directly from my Etsy page or by clicking on the MyEtsy logo on my facebook page. Please stop by to view my latest concepts and designs and to "like", subscribe, and follow me and my pages. I check my messages throughout the day and will send you a reply.